Chico, WPN, PaiWangLuo (Bovada) or Horizon – Which US Poker Network is Best in 2019? Things have settled into a groove as far as the US friendly offshore poker sites are concerned in 2019. It is easier than ever to make deposits and receive withdrawals. While the sites are not huge compared to the pre Black-Friday giants, there are enough games to choose from to suit most bankrolls. You’ll find some big tournaments too – topped by the regular $1m guaranteed ‘Venom’ events on the Winning Poker Network. I’ll go one level deeper than that… since poker players have different goals, preferences and bankrolls, I’ll answer what is the best poker network for your needs in 2019. I have done that by comparing the main contenders on each type of game, their software and their rewards / bonuses. Traffic Comparison: One giant, 2 mid-sized and one minnow! These numbers are from the ever reliable pokerscout.com, I have used the (rounded) 7-peaks for cash game players number, tournament players are 5x to 10x this number - depending on the site. WPN get a lot more tournament players than Chico, with PaiWangLuo (Bovada / Bodog) in-between. You might notice that Merge are not included. With some major payment issues ongoing, there is no way I can cover them at the moment. As you can see, PaiWangLuo (also known as the Bovada Network) are the biggest by a significant margin. This US Poker network got a boost from opening up to Latin American countries. This added a lot of crazy players to the tables at the same time! After PWLPN, the Winning Poker Network and Chico are battling it out for 2nd place. The recent big tournament events at WNP seems to have sealed the deal – this network has grown significantly this year. Cash games are slightly tougher than on the other networks. High-volume play is rewarded on this network – which always brings a lot of multi-tabling winning players. Compared to the international sites like PokerStars, those games are easy to beat. Horizon are tiny compared to the others. Sure, they have a decent rakeback / loyalty deal. Though with only 100 players at peak times in the cash games, there really is not enough action to make this worthwhile. I’ll keep an eye on this network in 2019 – you never know when they might get a boost. Big prize tournaments were a problem area for the offshore poker networks – until recently. With limited traffic, it is hard to guarantee big prize pools. When there are no guaranteed prize pools, it is hard to improve traffic (the classic 'vicious circle'). The Winning Poker Network went for it and organized a $1,000,000 guaranteed game as a one-off. This was a success -and has now become a regular fixture. During the fall / winter months ‘The Venom’ runs every Sunday. This has a big $2650 buy-in – though plenty of qualifier games are available to win a ticket. In addition to these one-off games (which come around every couple of months), there are regular ‘Online Super Series’ events, which are short 5-day festivals with big and mid buy-in games on each day. PaiWangLuo Tournaments: A decent schedule with $5 million in weekly guarantees – though the big showcase games only come up when there are special events like the Black Diamond Open. Bodog / Bovada / Ignition pool players and have a regular Sunday $100,000 guarantee ($162 buy-in). These games are anonymous (which does take a little getting used to), though noticeably softer than tournaments on other networks. Check out www.bovada.lv for details of the next events and live qualifiers. BetOnline and the Chico Network do not do so well in the tournaments area, their biggest is the Sunday $50k guaranteed ($100k once per month) – and on the whole prize pools are smaller. As you will see below, this site focuses on cash games to a much larger extent. Horizon are not even a consideration for MTTs. NL Hold’em with a side-order of Pot Limit Omaha is the story for just about every poker site in 2019. 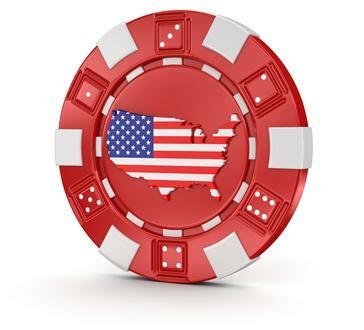 The difference with the smaller US sites is that there are not usually enough players to have many high stakes games running or other poker variations. You are going to find the same 6-max / 9-max and heads up NL Hold’em on all of the networks. The important question is which site has the easiest games? Bovada / Bodog (PaiWangLuo): Softest of all, these sites discourage multi-tabling and tools and have anonymous games via their ‘recreational player model’. This is also the busiest site for cash games by a long way. Chico (BetOnline): A lot of cross-over from the sports betting side means some crazy play at times here. For me, Chico are a clear 2nd. WPN (ACR Poker): This site encourages multi-tabling. This can lead to lots of nitty regs working for rakeback. There are soft games, though you’ll need to be selective with your table choices and move frequently. Horizon: Just not enough cash game action to justify putting Intertops higher on the list. Soft games can be found here if you’d like to add a couple of tables while playing at other sites. The good news is that none are particularly tough. I would rate the games at Bovada to be the softest overall. The lack of multi-tabling opponents and tracking tools that quickly target new players makes a big difference here. You’ll find some higher-stakes tables ($5 / $10) with tougher opponents. Compared to the same stakes on 888 or Stars, they are still soft. BetOnline (Chico) is a huge sports betting brand. This site attracts recreational players to try out poker. You’ll find an interesting dynamic at times. One or two crazy players loosen up an entire table – with all the poker specialists going after their stack. If you don’t mind some bankroll swings, this makes for some profitable games. Cash games on Chico are low-stakes, with little action above $1 / $2. For some players, the ability to multi-table (and get rewarded for putting in high volume) is important. Here America’s Cardroom is the best pick. This site has progressive leader board contests covering both Cash games and Sit N Goes, which add a lot to the bottom line for the highest volume players. You can switch from regular rewards to rakeback by mailing the support team. This is a once-only switch. If you are recreational, I’d avoid these games and choose Bovada instead. If you are looking to multi-table and grind out a profit, WPN make for a solid choice. If you want to check out the fast-fold games, then your only realistic choice is PaiWangLuo. Bovada Bodog run ‘Zone Poker’, which attracts a lot of players. Chico recently introduced a fast-fold variant – though it has yet to attract enough players to work. First, let’s rule out the minnows… Horizon do run SNGs, though you’ll have to wait even to get one micro stakes games going. Once again, there is a straight up choice between the slightly bigger volume or games on the Winning Poker Network, the softer games at BetOnline and the Chico Poker Network - and the anonymous Sit N Goes at PaiWangLuo Poker sites. Personally, I like the Winning Poker Network option. All 3 of the bigger networks now have lottery SNGs. WPN call these ‘Jackpots’, these are not quite as fast as the equivalent games on the international sites – giving you time for a skill edge to show. Check out Sit N Crush and the Jackpot prizes for yourself over on www.americascardroom.eu now! When you compare the software platforms of any of these networks with the huge strides the non-US poker sites like PokerStars or 888 have made, their software seems kind of retro. I’m feeling polite, so l will go with the word ‘functional’. There is nothing inherently wrong with the WPLPN, Chico, WPN or Horizon clients… it is just they all resemble something from 7, or maybe 10 years ago. Ignition and Bovada still use the old Bodog client – though on the plus side this does have a working mobile version. Probably best to leave this section as ‘all equally bad – though functional / playable’... If I really had to choose one best one it would be America's Cardroom / WPN, just! One small note: If you have been playing long enough to remember the old Cake Poker software, then you’ll find this still in use on the Horizon Poker Network. InterTops Poker is the place to see it. It is probably easiest to go through the rewards for each site, and then make my comments about the best one after that – this way you can compare the raw numbers to help you make a solid choice. On paper, the Winning Poker Network comes out ahead of the other US poker networks for rewards. If you are a high-volume player (particularly someone who has studied how to exploit the predictable grinders), then you will get the best rewards here. You can switch to flat rakeback here. If you are an occasional / recreational player – then the regular rewards are better (more reloads and specials). If you grind, rakeback makes sense. You simply e-mail support (after you clear your welcome bonus is best) and ask for the switch. If you are a recreational player that does not want to commit 4+ hours a day to the game, then I would recommend you take the softer games and larger number of one-off promotions and deals offered by BetOnline (Chico Network). This is even more important if you also enjoy betting on sports or playing the occasional casino game. PaiWangLuo sites have a fast clearing welcome bonus. Their points system is not so great. You can exchange these for tournament entries, or for bonuses in the sportsbooks or casino. There are a lot of great reasons to try Bodog / Bovada – though the ongoing rewards are not one of them!. First, Horizon is too small to be a serious contender. If they grow significantly in 2019, I’ll let you know. Cash games + general softness point to the PaiWangLuo sites. I recommend trying out the anonymous games. These feel different and are not for everyone. The freedom of not playing with a screen name is refreshing! Bovada is the go-to site if you enjoy fast-fold cash games, or want to play on your mobile phone. Chico (BetOnline) is soft, though small. If you are truly recreational and want to play one or two tables only, this site does make a solid choice.